Custom Super Mario Drum Set is Awesome | OhGizmo! A New Kind of SMS: Smoke Messaging Service? By Hazel Chua on 02/21/14 • Leave a comment! 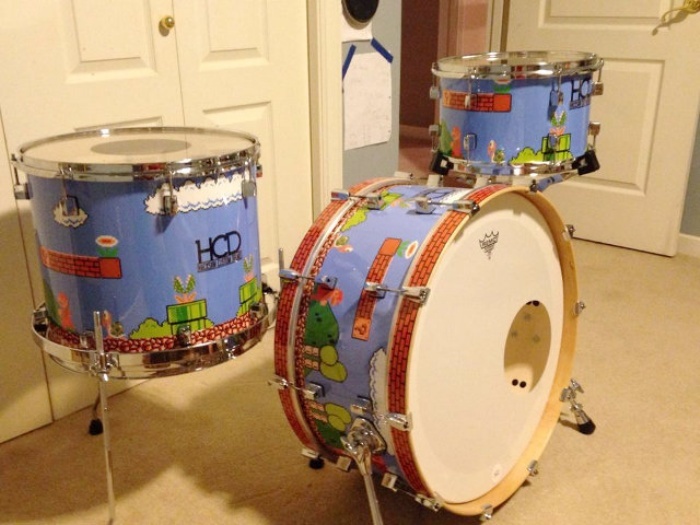 This Super Mario Brothers-themed drum set was made by Josh Fry and it’s all kinds of awesome. It features everyone’s favorite characters from the Mario franchise, including Mario himself, Luigi, the Princess, and even the Toad. I also see the Fire Flower power up and several question mark blocks that are just ripe for the hitting.